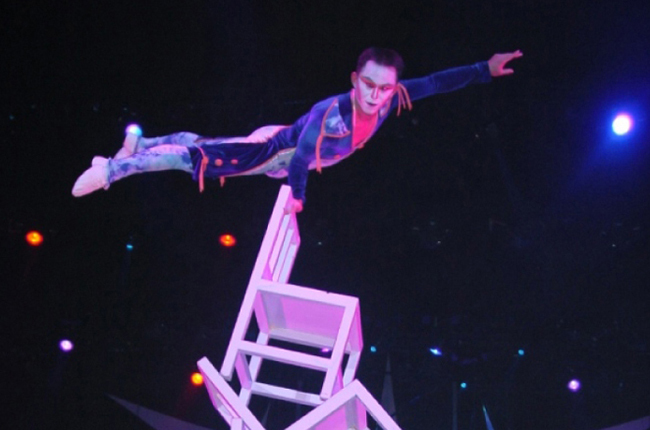 In chair balance acrobatics, one or more acrobats balance on one or more chairs. The chair(s) may be balanced on other objects and/or on just one or two legs while the acrobat(s) themselves may also perform balancing acts on the chair. 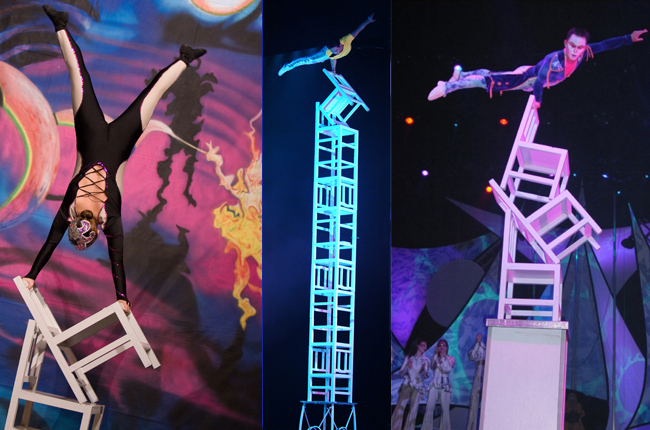 The excitement and danger rises as the performer climbs higher and higher into the air.